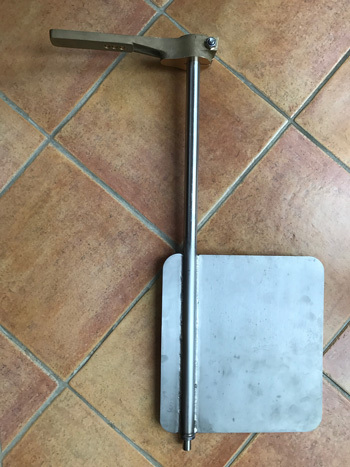 On our way back from the Grand Prix I collected the rudder assembly from Clements Engineering. 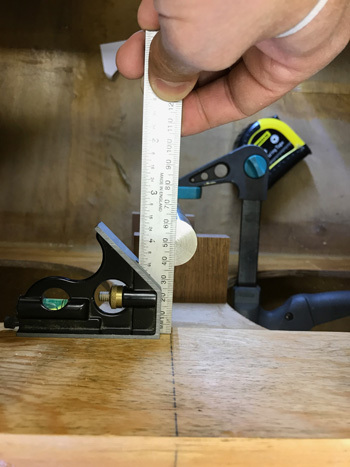 Prior to this I had installed the rudder post using the rudder bar to locate it and check alignment. 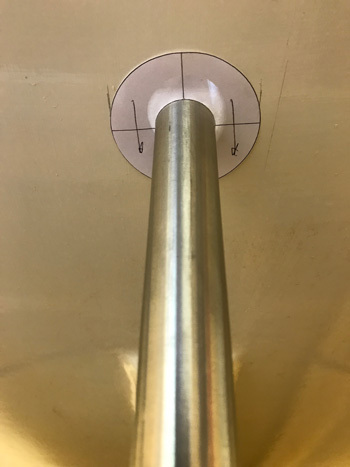 First you cut a 1.5" diameter hole in the bottom of your boat that the rudder can pass through into the keel support together with the template for marking the 2.5" hole. 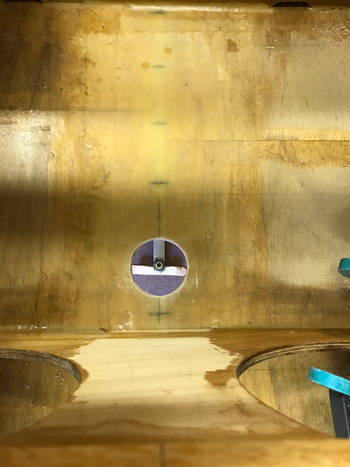 A post hole cutting view showing the rudder lower support. All that remained was to bond in the rudder post. 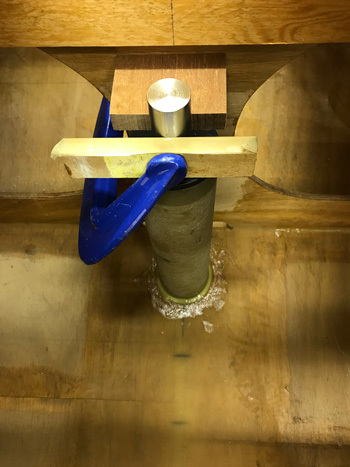 Next month I'll add the upper post support and fit the rudder.